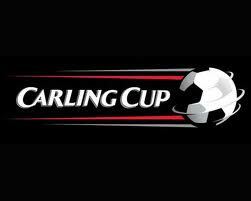 Boro demolished League One Walsall in the first game of their Carling Cup campaign of 2011-12 with a hat-trick from Marvin Emnes. Walsall found themselves down to 10 men when Adam Chambers went in two footed on Ritchie Smallwood which did nothing to help their plight against Boro's early dominance. Emnes struck in the 17th minute with Malaury Martin's scuffed shot falling to him who turned and drilled the ball home for his second goal in two games. Marvin doubled his tally on 37 minutes volleying a Justin Hoyte cross into the back of the net. Boro went into the break 2-0 up having been completely dominant. The second half was much more of the same with Enmes third goal coming by means of a penalty awarded as Smallwood was brought down in the area. The rest of the game played out with no real threat from Walsall and unfortunately no further Boro goals. With Leeds Utd to face on Saturday the game provided a welcome gentle run out that would no doubt boost the teams confidence going into that match.